dans le Conflent, Pyrénées Orientales (66). 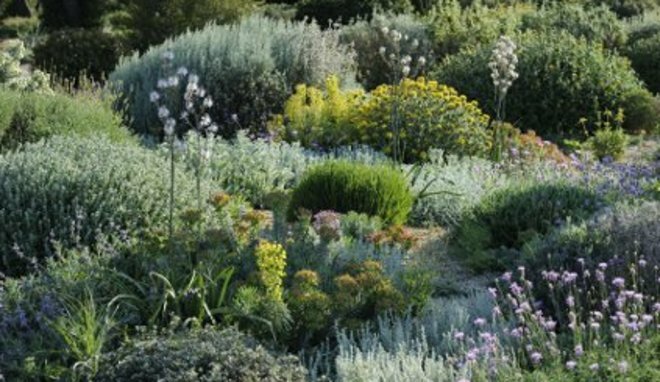 What is a "Dry" Garden? 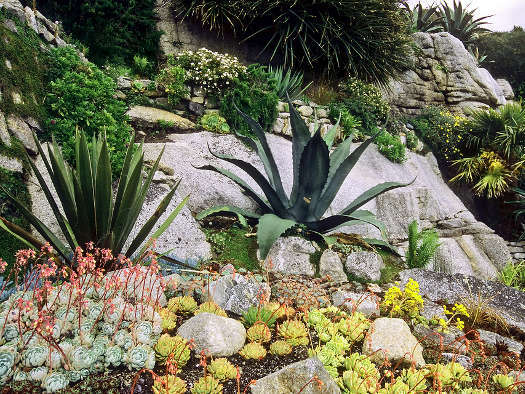 It is a garden that uses drought resistant plants. 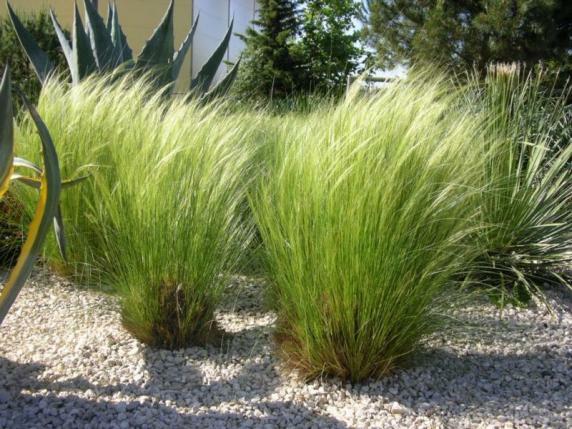 It therefore has no need for watering once the plants are properly installed. This makes it possible to reduce water consumption and avoids investment in an expensive irrigation system (tanks, pumping, installation of networks ...) The approach of a dry garden is also an ecological approach: less water, fertilizer and less pesticide. Maintenance, once established is minimal. 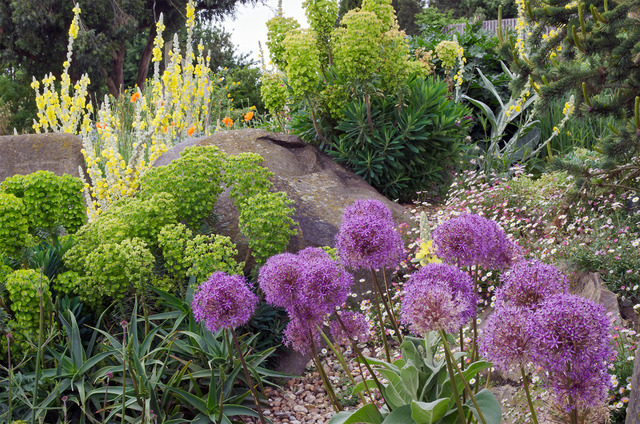 Some plants need an annual pruning in the spring or fall. 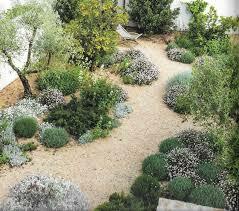 Weeding is replaced by mulching such as gravel, which limits germination of weeds. 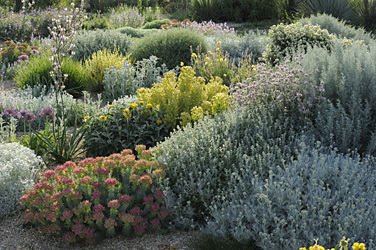 A dry garden is not a desert garden, there are a multitude of suitable plants of varied colors and that flower throughout the year.